I heard about this on NPR and was ridiculously excited to read it. Plot: the speech of children becomes toxic to adults, and parents must decide whether to stay with their kids or escape to safety. I went and got it from our right-down-the-street library the week after we moved into our new house. 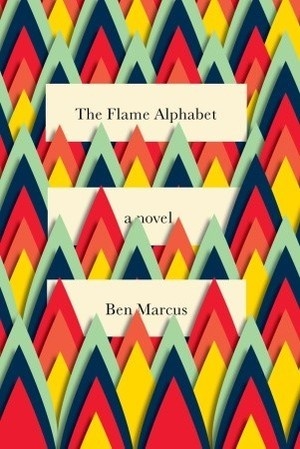 Sadly, The Flame Alphabet was by far the worst book I read this year. I had such high hopes, which may have been a contributing factor to my disappointment, but I think the book itself was just so terrible that it would have been impossible to enjoy even with lower expectations. First of all, the writing was sluggish, bland, and a little bit sickening. The descriptions of what happened to adults were just off-putting. Second, the characters were unlikable at best and leaned more toward detestable. I didn’t care if they all died – I wanted them to – and I had little interest in what happened to them. Third, there was no resolution in the book. Questions weren’t answered. I suspect the book was too high-brow for someone like me; it wasn’t intended to be an entertaining read where problems get solved and people end up happy. But I’m not the sort who likes writing for the sake of pompous writing. The reviews on Amazon are interesting, as it looks like there are several other people who shared my opinion (something I love!) as well as people who think the author is a genius. You’d be better off reading the reviews than the book, if you ask me. Oh, one final complaint: I was really happy to see the cover, until I got the copy from the library and realized it wasn’t really paper piecing, it was just designed to mimic the effect. I would have loved the design if it had been done with real paper.